Tired of the usual stuff? Tired of doing the same thing again and again? Tired of leading a life in monotony? Well who doesn’t need a change? 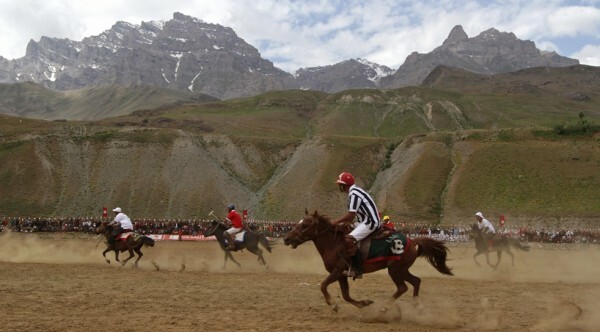 How about checking these 10 offbeat places and bringing back the thrill in your life? 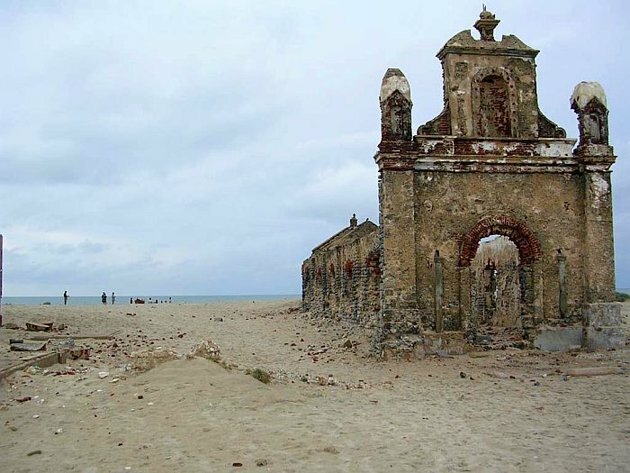 Situated somewhere in the southern tip of Rameshwaram, Dhanushkodi is in the southeast of Pamban. 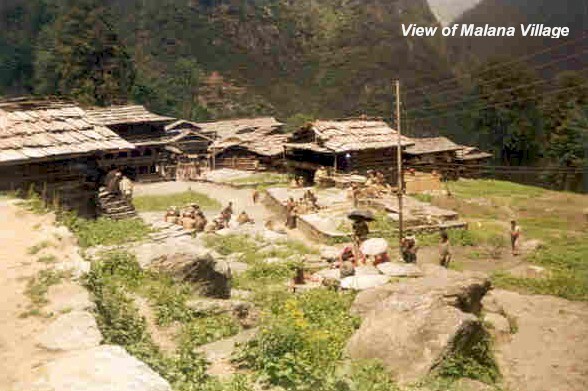 It is a jinxed place where a cyclone in 1964 killed 1800 people and through various rough weathers and twist of fate, the place has retained a ghost look for decades. Today only a few fishermen can be seen on the beaches. Another attraction at Dhanushkodi is the Adam’s bridge, the significance of which dates back to the time when Lord Rama was supposed to have built the bridge for crossing over to Lanka. 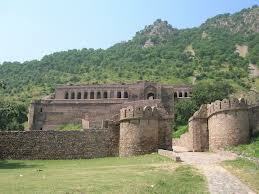 You may have just seen them in movies but you actually hear stories in abundance in this place called Bhangarh fort. It is based in Rajasthan where everyone visits Jaipur, Udaipur, Jaisalmer but a place like Bhangarh fort is discussed only in hush whispers. It is believed that this place was cursed and people are not advised to go there alone or beyond a certain time. It is also the only historical site in India where there are no ASI offices. Maybe it could be a figment of one’s imagination, maybe the ghostly stories are mere hearsay… why don’t you check it for yourself? Roopkund is a large grassland with beautiful streams and villages adding to the landscape. It is one of India’s most famous trekking places. 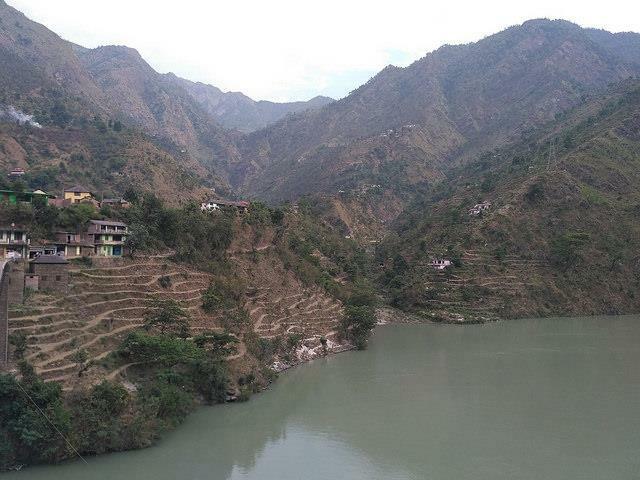 Based in Uttarakhand, it is a beautiful and mysterious glacial lake. 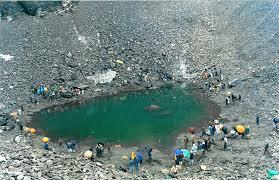 The main attraction of Roopkund is the banks of the lake. Here, one can find human skeletons dating back to the Paleolithic age. If Switzerland is your dream destination, think again! You need not travel that far. 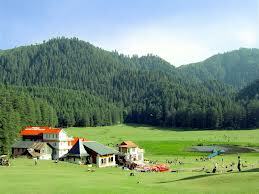 Khajjar a quaint village in the Chamba district of HP is India’s very own Switzerland. The place is picturesque in every possible way. Lush greenery, mountain ranges, lakes, Deodar forests, beautiful meadows just blend together into a beautiful array to give you one of the most amazing experiences you can ever imagine! Few people know about Drass and that’s not what makes it an interesting place. 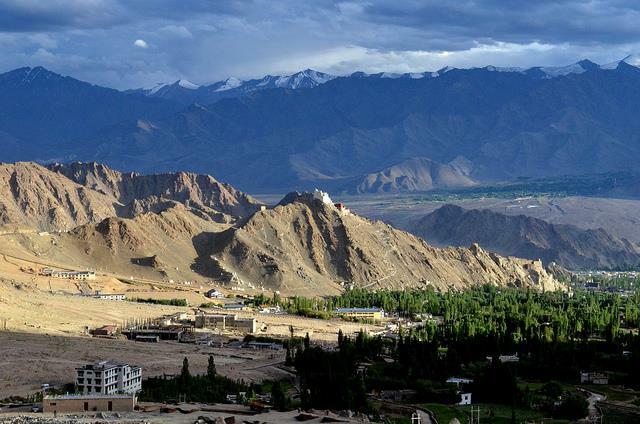 It is often referred to as Gateway to Ladakh. Situated in Kargil district of J & K, The valley touches an altitude of 10,990 and the ridges in the mountain ranges from 16,000 to 21,000. 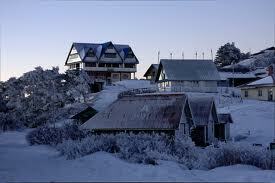 It is also the second coldest colonized place in Asia. For a trekker, the ultimate achievement would be to reach the mountain peak and then sink into the journey that they just made upto. Sandakphu is one such range nestled in Darjeeling. The name signifies the height of poison due to the plants that grow at the peak of this mountain. Once you reach the mountain top the view is amazing and is just worth all the trouble one goes through to reach there. Another highlight of this range is that once you reach the top you can view four of world’s five tallest peaks namely Everest, Kanchenjunga, Maklau and Lhotse peaks. No wonder it’s called the Paradise for trekkers! If you are in it for altitudes, then you can’t miss Spiti valley which is located in Himachal with a towering 12,500 feet above sea level and having only mountain ranges for company. Soaring peaks, snow clad mountains and having two of the oldest monasteries in the world; the Ki monastry and Tabo monastery both which are a favourite of the Dalai Lama. How can a hall with a spread of almost 50 metres, three stories high be constructed without any beams or pillars. Built by an eighteenth century monarch Nawab Asaf-Ud-Daula, it is both a blend of Arabic and European architecture. The main hall was built intricately with interlocking brick-work and is famous for its enigmatic architecture of “Bhulbhulaiya or a dense maze”. 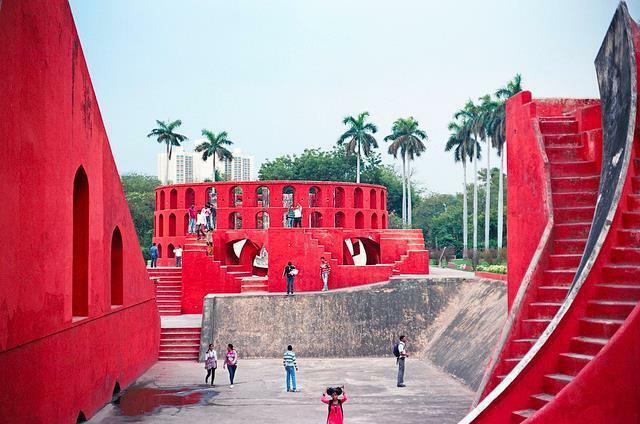 This maze is made of more than 1,000 narrow staircase passages, to prevent intruders from entering the inner complex. 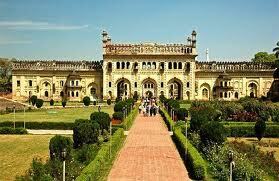 Considered by many as a man-made wonder, this gravity defying palace is based in Lucknow, northern state of Uttar Pradesh. Imagine you are seeing a wonderful painting and it suddenly pops out right in front of you. Still and calm waters, clear skies, bright sun shining above, trees swaying to the tune of the coolest breeze, snow-capped mountains to add to the aesthetic appeal. Can you ask for more? Well, the Pangong lake is just that and more. Situated at an altitude of 4350 meters, it’s only post card picture perfect. The Pangong lake is the highest situated salt water lake. It is 134 Kms long and almost 5 Kms wide and more than 60% of this lake extends onto Tibet. This place really makes for one of the best tourist attractions. What if you are suddenly thrown in a place where there are only flowers as far as your eyes can see? Well, imagine no further coz’ the great Himalayan range has exactly that and much more to offer you. 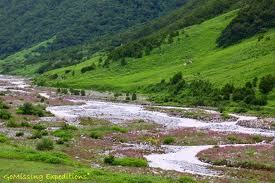 With the vast Gharwal hills in Uttaranchal there dwells the most amazing flora that you can ever imagine! There lies the Valley of flowers National park featuring the rugged and much rocky mountain wilds of the Nanda Devi National Park. It is spread over ninety square kilometre, a home to the rarest of rare flowers such as tulips, orchids, daisies, primulas, poppies etc. The next time you wanna woo your loved one, this place will surely do the trick.